David has worked as an Environmental Consultant for the past 20 years, primarily within New Zealand and New South Wales, Australia. His work experience and expertise include: contaminated land assessment, due diligence auditing, property risk, and hygiene services. David was the co-author of the New Zealand Guidelines for Assessing and Managing Asbestos in Soils, BRANZ 2017. David is a recognized thought leader – actively providing advice and technical guidance to central government, regional and territorial authorities in various areas of contaminated land. 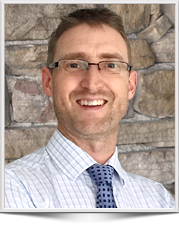 He has played an active leadership role in several industry groups such as the Australasian Land and Groundwater Association (ALGA), The New Zealand Asbestos Advisory Group (NZAAG), and the WorkSafe New Zealand former Asbestos Working Group. Desktop and intrusive site investigation to support consenting and Auckland Council hearing for contamination. Detailed site investigations of the alignment to support lodgement of Notice of Requirement and designation. The project required the assessment of environmental effects of the development from contamination, together with the preparation and delivery of expert evidence at a Board of Inquiry hearing. Project Manager for AECOM’s global remediation contract with BP Oil New Zealand. This role included client relationship management, project scoping, management of field staff and technical reporting to achieve compliance with resource consents for various monitoring and remediation projects. The portfolio comprised approximately eight sites across the North Island. Development of Draft National Guidelines for Asbestos in Soils. This document was not published due to the adoption of the Western Australian guidelines for asbestos in soils. Remediation of soil (primarily asbestos), groundwater, tender evaluation and contractor management. Assessment of risk for nursing home facility to assist in the development of a broader remedial strategy for the site. Provision of contaminated land services to support lodgement of Notice of Requirement and designation. Pre-purchase environmental due diligence of a large, multi-site rental car company involving limited Phase 1 Environmental Site Assessments (ESAs). Pre-sale environmental due diligence comprising a detailed site investigation to identify potential for legacy environmental impact. Consent supervision comprising review of constructability constraints of the Additional Waitemata Harbour Cross posed by contamination within the proposed design footprint, NZ TA – 2010. Desktop and intrusive site investigation to support consenting of an upgraded pipe bridge. Desktop and intrusive site investigation to support consenting of sewer upgrade. Desktop and intrusive site investigation to support consenting of a cycleway. Desktop and intrusive site investigation to support consenting of a busway. Characterisation of human health risk for several residential properties and public park. Assessment of environmental risk of Tailings Dam. Assessment work included the assessment of the extent of contamination in a disused landfill using test pitting and groundwater monitoring (including clearance for Unexploded Ordinances (UXOs)). Investigations comprised assessment of soils, sediment and groundwater. John Hunter Hospital and Newcastle Private Hospital Extension involving the assessment and treatment of asbestos impacted material prior to development. These projects were audited by Phil Hitchcock of Environ (now Environmental Auditors). Centennial Coal’s Munmorah Colliery (NSW) subsequent to site closure. Huhtamaki, New Lynn, Auckland. Due diligence of packaging plant prior to site divestment, December 2011. Origin Energy, New Plymouth, New Zealand. Due diligence of oil and gas exploration depot, August 2011. Transpacific Refiners, Rutherford NSW for Phase 2 ESA including the assessment of chlorinated solvent impact in groundwater, May 2008. Centennial Coal’s Myuna Colliery NSW, 2008. Xstrata Coal’s Ravensworth Underground Mine – Pit Top Area, 2008. Foodstuffs, Mt Roskill NZ, 2010 to 2011. Shell Clyde Refinery NSW, 2007. Shell Rutherford and Motto Farm Service Stations NSW, 2007. Shell Depot Kempsey NSW, 2007, including well installations. Caltex Kariong and West Gosford Service Stations NSW, 2009 including well installations. Pacific Highway Road widening project, Lisarow NSW, Roads & Traffic Authority NSW, 2007. Completed several UST validation projects for clients including Waverley NZ and Mudgee Airport (BP Oil) project management and fieldwork, comprising soil sampling, contractor instruction and reporting. Completed a data gap analysis to review the management of asbestos across the Defence estate. Subsequently delivering a package of training and the development of the National Asbestos Management Plan for publication following a programme charter. National asbestos survey across Contact Energy assets. Included remediation and due diligence advice prior to sale of Otahuhu Power Station. The project also comprised a visual inspection of the Steamfield and dump sites at the Wairakei Power Station which resulted in a soil investigation and risk assessment in 2016-2017. Polychlorinated Biphenyls (PCB) remediation and disposal advice for residual contamination on transformer cabling from historic removal. Exposure risk assessment of workers to asbestos at a Wellington laundry. Completion of a hazardous substances and materials review to enable the decommissioning of one of the power generating units. This required the consideration of potentially asbestos-containing materials that may be encountered during the decommissioning process. This included consideration of items for re-sale. Third party review of remedial action plan for the remediation of asbestos building materials. Third party review of asbestos management practices of the three main hospitals managed by the Auckland District Health Board. Legal advice for an asbestos in soils litigation case involving the bulk excavation of landfill waste as part of the site development. Legal advice for an asbestos in soils litigation case involving land development. Legal advice for an unsatisfactory asbestos removal project. Dangerfield, D. & McFarland, R. (2011). Fire Damaged Asbestos – REMEDIATION OF ASBESTOS IN SOIL, IPENZ Vol 38, 2012 & WME Vol. 23 No.2 March 2012. Dangerfield, D. & McFarland, R. (2009). CASE STUDY PART 1 – Fire Damaged Asbestos – New Zealand Case Study. MANAGEMENT OF COMMUNITY PERCEPTION, HUMAN HEALTH RISK AND REMEDIATION PLANNING. Cooperative Research Council for Contamination Assessment and Remediation of the Environment (CRC CARE) conference and summit, Hilton Hotel, Adelaide. Dangerfield, D. & McFarland, R. (2009). When Fibre is NOT Good For You – Asbestos In Soils – National Defence Guidance. Defence Forum, CRC CARE conference and summit, Hilton Hotel, Adelaide. Dangerfield, D. & McFarland, R. (2011). Fire Damaged Asbestos CASE STUDY PART 2 – REMEDIATION OF ASBESTOS IN SOIL, CRC CARE conference and summit, Hilton Hotel, Adelaide. Dangerfield, D. & McFarland, R. (2011). Fire Damaged Asbestos – REMEDIATION OF ASBESTOS IN SOIL. Waste Minimization New Zealand (WasteMINZ) Conference, Rotorua, New Zealand. Dangerfield, D. & McFarland, R. (2013). Advances in Understanding Asbestos Risk, Driving change in sustainable remediation. Waste Minimization New Zealand (WasteMINZ) Conference, Rotorua, New Zealand. Dangerfield, D. & McFarland, R. (2014). Asbestos – Detected or Not? Waste Minimization New Zealand (WasteMINZ) Conference, Wellington, New Zealand. Dangerfield, D. (2016). Asbestos in Soil – Tier 2 Risk Assessment. Australasian Land and Groundwater Association (ALGA), Contaminated Land Conference, March 2016, Auckland, New Zealand. Dangerfield, D, Hunt, S. & Mechaelis, M. (2016). Development of the New Zealand Asbestos in Soil Guidance. ALGA/New Zealand Asbestos Advisory Group (NZAAG), Christchurch Forum, November 2016. Dangerfield, D, Bint, L. Hunt, S. & Mechaelis, M. (2017). New Zealand Guidelines for Assessing and Managing Asbestos in Soil, BRANZ, 2017. Dangerfield, D. (2017). New Zealand Guidelines for Assessing and Managing Asbestos in Soils – Tier 2 Risk Assessment. ALGA, Auckland Branch Forum, November 2016. Dangerfield, D. (2018). Asbestos-containing Dust – What does it mean for building owners and other PCBUs? ALGA, Auckland Branch Forum, November 2018.